Hat Trick BBQ, a company operating in the US and Canada, is a great “green” story. They accumulate broken hockey sticks that would otherwise go into landfills, and create unique and interesting products that are a must-have for hockey fans, players, parents of hockey players, and those who love to BBQ. Which covers a pretty broad spectrum of society. To date, they have repurposed over 18,000 hockey sticks into BBQ sets and bottle openers. They have partnered with 22 NHL teams, as well as 55 hockey clubs at the AHL, college, and junior levels. The company has also teamed up with stick manufacturers like Easton, CCM, Reebok, and Warrior. In addition, Hat Trick BBQ is a proud sponsor of Ice Hockey in Harlem, The Los Angeles Kings Sled Hockey Team, The Buffalo Sabres Sled Hockey Team, and the Connecticut Wolfpack Sled Hockey Team. 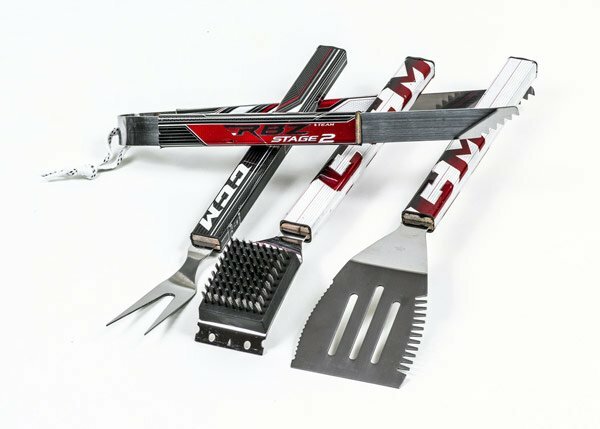 The Hat Trick BBQ product line consists of items useful for the BBQ chef, such as a fork and brush set and bottle openers (they also do custom orders). 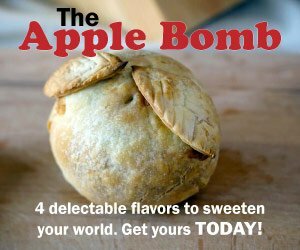 Their products make a unique gift for the hockey and barbecue fan alike. 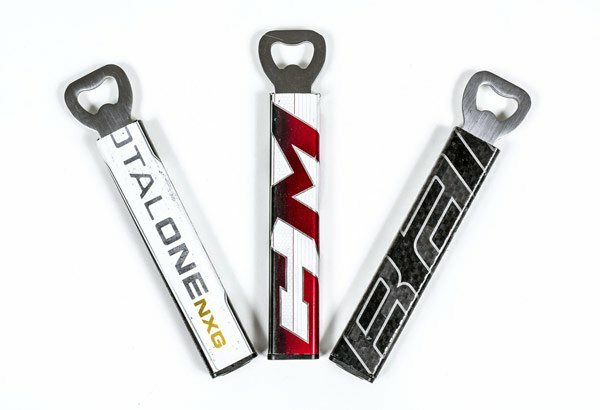 Find them at HockeyMonkey, Brookstone, Uncommon Goods, Pure Hockey, and other retail hockey locations around the world. My two favorite things…food and hockey.